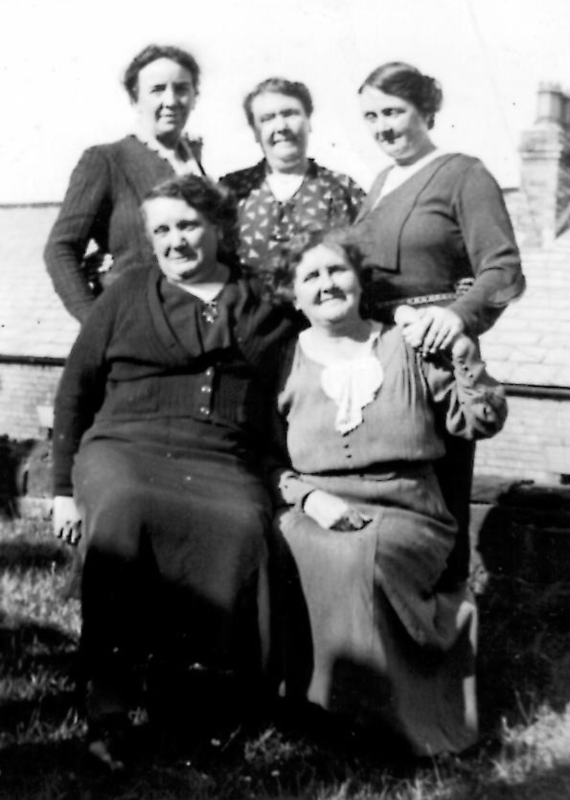 Mattie Pearson and her sisters when she visited the UK in 1939, bust before WW2. Mattie is on the front right. Behind her at the back right is Maggie. Bessie was at the top left. We think the other two are Belle and Lizzie — can anyone identify them?